The next deadline for GHS labeling compliance is less than a year away! Starting June 1st, 2015 all manufacturers and distributors of chemicals will be required to comply with the Globally Harmonized System of Classification. Since the final ruling was announced by OSHA, we’ve been researching options for customers because we knew this change would affect everyone from manufacturers to day-to-day chemical users. In fact, we had to make changes to the chemical bottles we use in our plant. At Weber, we use an EPSON C3500 Inkjet Label Printer to print our GHS labels for small chemical bottles. Because most users will only need to print a few at a time and may require variable printing, our labeling product team introduced solutions for in-house GHS label printing. 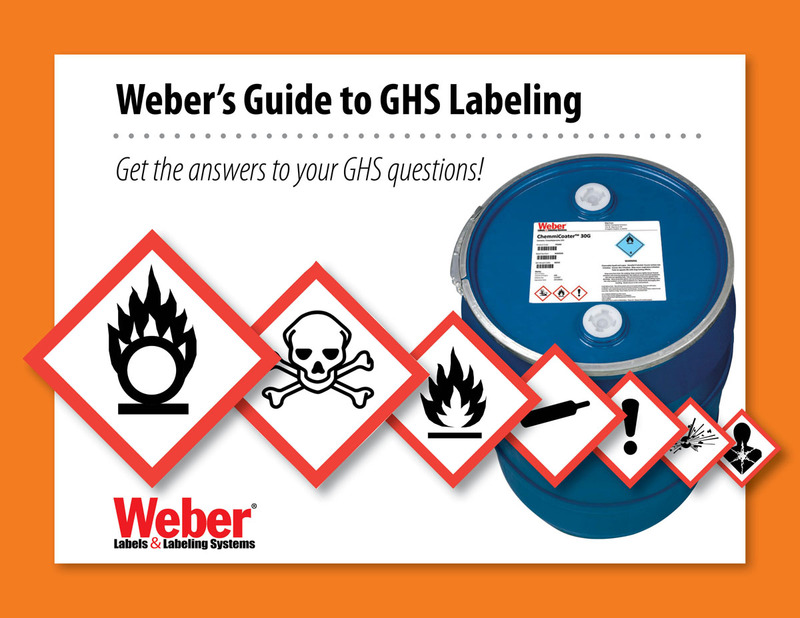 To learn more about GHS Labeling, download our new 13-page eBook that includes the basics you need to know plus some of the best solutions to comply with GHS labeling.